"Detention center" is a general, broad term that describes a facility or parcel of land used to confine individuals in some manner. Individuals are confined at a detention center pursuant to an order or directive of a governmental agency. The most common types of detention center are various penal institutions that are designed to incarcerate individuals convicted of and sentenced for crimes. Additionally, certain individuals are held in detention centers prior to being convicted of a crime, if they are deemed flight risks or of a particular threat to the community. Many detention centers in the United States are operated by the state's department of corrections. Although each state operates detention centers differently, all states use a system of levels for classification. At the top of the tier, many states now operate highly restrictive facilities designed for the most violent offenders and individuals charged with extremely serious crimes. These detention centers commonly are referred to as "super-max" penitentiaries or prisons. 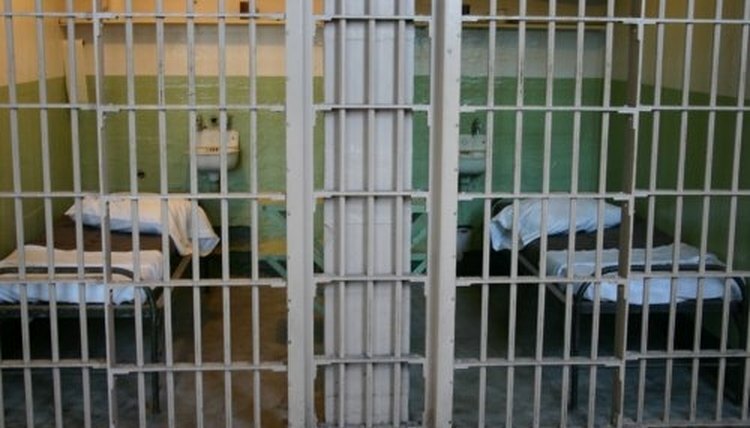 Maximum security prisons are a mainstay of state prison systems. Individuals convicted of violent crimes and offenders with lengthy (including life) sentences tend to be assigned to these facilities. Medium security prisons are designated for individuals with mid-range sentences (varying from state to state but roughly a dozen years or less). Most inmates in these detention centers have not committed violent offenses and do not have an extensive criminal history. Finally, a minimum security detention center---often called a work camp---is for first-time offenders and individuals with short sentences. At many of these centers, inmates can work at various locations in the surrounding community during the day. Federal detention centers are operated by the United States Department of Justice, Federal Bureau of Prisons (BOP). Although all penal facilities within the federal systems meet the technical definition of a detention center, the BOP actually has a very limited definition of a "detention center." The BOP defines a detention center as being a facility that is strictly utilized for individuals who have not been convicted of a crime. In other words, detention centers in the federal system are used to confine individuals charged with crimes and who are not yet convicted who did not qualify for or could not meet the requirements for bail. In looking at the term "detention center" more broadly and beyond the technical definition used by the BOP, the federal government operates a four-tiered system that includes super-max prisons, penitentiaries, federal correctional institutions and prison camps. Juvenile offenders are adjudicated and confined in a justice system separate from that which deals with adults. Each state operates its own juvenile justice system. Each state has established its own types of juvenile detention centers. For example, many states use separate juvenile detention facilities to segregate violent youthful offenders from those not adjudicated of that type of offense. In some instances, states use separate juvenile detention centers for offenders with longer sentences and those with shorter ones. The most common types of detention centers operated across the United States are city and county jails. City and county jails serve two primary purposes. First, these facilities detain individuals who are awaiting trial but who were not granted the ability to bond out by the court or who have been unable to meet their bond requirements. Second, these facilities (particularly county jails) are used for individuals who are ordered to serve certain types of shorter sentences. In some states, sentences to city or county jails generally cannot exceed one year, while in others the maximum term is two years. There are limited exceptions to these caps. For example, if a person is convicted of three separate charges, each with a one-year term, that individual could end up serving a three-year consecutive sentence in a county jail. A fairly recent development in the realm of detention centers in the United States is of facilities operated by ICE---U.S. Immigration and Customs Enforcement. These detention centers house individuals who are in the United States illegally. Prior to the 21st century, individuals in the United States illegally were often held in other types of detention centers, including county jails. Individuals held in an ICE detention center many times face no other criminal charge beyond unlawful entry into the United States or a similar alleged crime. In some instances, a person held in an ICE facility has served a sentence for another type of crime in a state or federal detention center and is transferred to an ICE facility after that sentence, awaiting transfer out of the country. The military and certain intelligence agencies operate a variety of detention centers. These include facilities at which prisoners of war are housed. These types of centers also include those run by different intelligence agencies like the Central Intelligence Agency. It is these latter detention centers that are subject to controversy within the United States and other countries around the world. Broemmel, Mike. "What Is a Detention Center?" , https://legalbeagle.com/5372137-detention-center.html. Accessed 21 April 2019.